Crawley Town suffered a 3-1 defeat at the hands of ten-man Notts County. Former Reds’ boss Harry Kewell’s new club gained their second win in a row thanks to first half goals by Kane Hennings and Jon Stead plus a third late in the second half by Nathan Thomas. Dominic Poleon scored a late consolation goal for Crawley in the 93rd minute. Ex-Crawley player Rob Milsom was sent-off for the Magpies after 65 minutes for a high challenge on Joe Maguire, leaving the home side to play out the last 25 minutes with ten men. Gabriele Cioffi made three changes to the side which beat Yeovil Town on Saturday with Joe McNerney, Josh Doherty and Dominic Poleon preferred to Bondz N’Gala and Joe Maguire who were on the bench while Ashley Nathaniel-George had a calf injury. As well as Milsom, Notts County included former Crawley players from last season, Enzio Boldewijn and Cedric Evina. Josh Payne had a great chance to score for Crawley just before half-time but his long-range shot rattled against the crossbar. 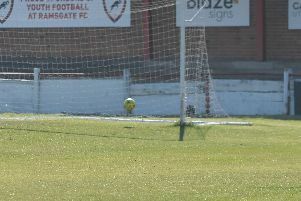 Reds had several other chances during the game, the first being a combination move between Ollie Palmer and Luke Gambin which ended with Palmer driving straight at Notts Country ‘keeper Ross Fitzsimonds. The home side took the lead in the ninth minute when Hemmings tapped the ball in from a cross by Lewis Alessandra. Crawley responded with good efforts by Felipe Morais (twice), Luke Gambin and Panutche Camara, none of which troubled the ‘keeper. But it was Notts County who scored again, going 2-0 up on 33 minutes through Stead who chested the ball down and blasted low past Glenn Morris. Notts County added a third goal with just three minutes to go when Thomas was fouled and then struck the ensuing free-kick into the bottom corner. Reds pulled a late goal back in the third minute of six minutes of added-time when Dom Poleon converted a cross from Gambin. Notts County: Fitzsimons, Tootle, Turley, Ward, Evina, Boldewijn (Osborne 90), Hewitt, Milsom, Alessandra (Husin 88), Stead, Hemmings (Thomas 83).